David Katz details the Ethopian leader’s historic 1966 visit to Jamaica – and what it meant for music on the island. April 19th, 1966 saw incredible scenes unfold in Jamaica, the likes of which have never been repeated. At Palisadoes Aiport, thousands gathered, the majority of them adherents of the Rastafari faith, waiting to see their beloved saviour. And along the main route that leads from the airport into Kingston, thousands more lined the roadside, some with flags at the ready, hoping to catch a glimpse of an African monarch in the flesh. The heavy rainfall was no deterrent, especially to the Rastafarians that brought their drums, banners and assorted regalia. Just as the sun broke through the clouds, the imperial jet came into view, bearing the Ethiopian colours and a roaring lion on its flank. The crowd erupted. Their day of deliverance had finally come. Haile Selassie’s 1966 visit to Jamaica had a dramatic effect on the Rastafari movement. Since the man they worshipped as an incarnation of God was feted by politicians and given the keys to the capital city, the faith was awarded its first inkling of official recognition, giving credence to the beliefs of Jamaica’s most ostracised citizenry. 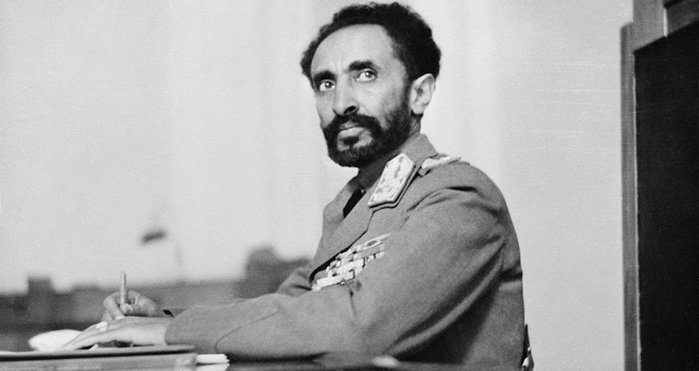 A mere three years after the Coral Gardens Massacre, in which dozens of Rastas were killed by security forces, the incredible welcome accorded Selassie strengthened the determination of the faithful, and helped swell the movement’s ranks. The transformation was acutely evidenced in the island’s music scene; if not for Selassie’s visit, the spread of Rastafari through reggae probably never would have taken place. Rastafari first emerged in Jamaica after Selassie’s 1930 coronation, three years after Marcus Garvey had proclaimed, “Look to Africa for the crowning of a black king, he shall be the redeemer.” Biblical passages seemed to reference the event, too, and as new religious leaders like Leonard Howell and Emmanuel Edwards began to galvanise support by proclaiming that God was black and that the rightful place for black Jamaicans was Africa, sectors of the peasantry responded enthusiastically. Across the island, various forms of Rastafari took root, all based around the concept that Selassie was a living black Christ. But Rastas endured terrible persecution. In Eurocentric Jamaica, most were derided as madmen, or shunned as “blackheart men,” devil worshippers that ate the hearts of children. They faced very real maltreatment, especially from the police. Although derided by detractors as an autocrat, Selassie modernised Ethiopia considerably, and was a visible participant in world affairs. 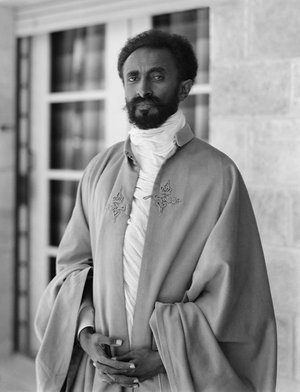 He travelled widely during his reign and visited Trinidad, Jamaica and Haiti in 1966 largely because the nations had been vocal supporters of Ethiopia during Mussolini’s fascist occupation in the 1930s. Jamaica had a special place on the itinerary because a Rastafari delegation had travelled to Addis Ababa to meet Selassie in 1961, along with members of the Jamaican government. 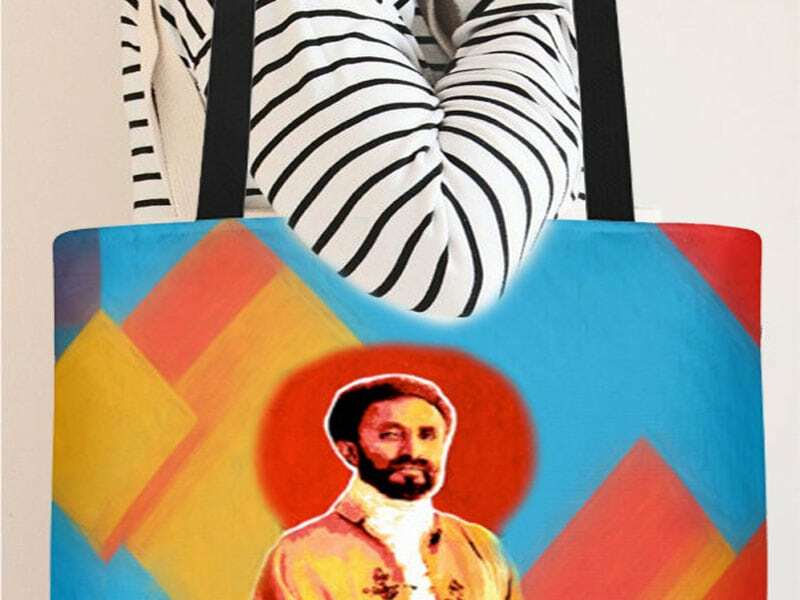 Selassie was already aware of his veneration by the Rastafari (and denied his divinity), but nothing could have prepared him for the tumultuous scenes that greeted his arrival in Jamaica. “That experience is something I will never forget,” says promoter Copeland Forbes, who was chosen to be Selassie’s official car door opener. “I don’t know if you want to call it a miracle, but it was raining heavy, and when the plane popped over the clouds, the sun came out. When the plane touched down on the runway, the pilot pulled the window (open) and put out an Ethiopian flag, and the plane was surrounded by hundreds; I saw people leaning up by the plane wheel, smoking a chalice, and drum beating, so the official welcome party had to be abandoned.” Perhaps the real miracle was that no one was injured, given all the smoking near highly explosive aircraft fuel. Rastas were viewed with contempt by the ruling class, but Selassie’s visit accorded them space. Selassie’s visit highlighted the intensive polarisation of Jamaican society. At the airport, Rastafarians chanted and danced, shouting “Hail the man!” “Lamb of God,” and “Black man time now!” Commissioner Eustice Bird was heavily booed during a ceremony in which Selaisse was given a key to the city. The massive crowd at Spanish Town, the first stop of Selassie’s official railway journey across the island, drew hostile police action, resulting in several injuries. But if Rastas were viewed with contempt by the ruling class, Selassie’s visit accorded them space. Rasta leaders were given gold medals by Selassie, and Count Ossie’s drummers gave an impassioned performance before the Emperor. Selassie’s visit naturally had a profound effect on the island’s musicians, not least Rita Marley, who glimpsed stigmata on Selassie’s palm when his motorcade passed her in the street. She wrote to her husband, who was then in Delaware, explaining her conversion to the faith, and when Bob Marley returned to Jamaica, he joined Rita and his fellow Wailers by embracing its doctrine. 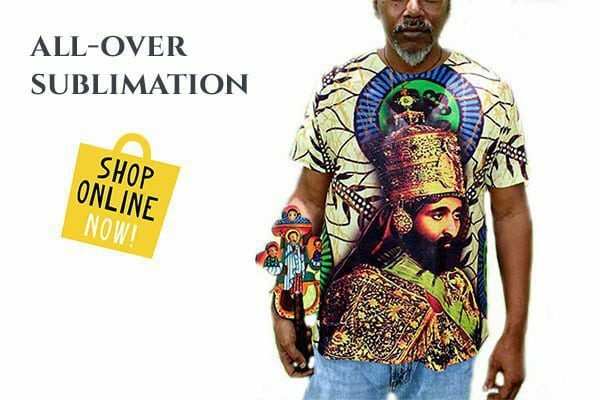 In time, Rastafari would be their music’s focus, leading to awareness overseas. Until this point, expressions of the Rastafari worldview were more undercover than upfront. Count Ossie’s drummers made “Oh Carolina” a landmark pre-ska tune, but the song was a mere romance ballad in R&B mode. Noel “Zoot” Simms transformed the hymn “Golden Pen” into a jumping ska, introducing it and “Press Along” in Amharic, but both were somewhat coded, their meaning unclear to casual listeners, and Skatalites instrumentals like “Beardman Ska” only alluded to the faith. Tosh’s track was direct, heralding a new direction that would blossom once the reggae form took hold. By the end of the decade, the Reggae Boys were declaring that “Selassie a go burn them with fire,” U Roy saluted the “Righteous Ruler,” the Abyssinians gave praise with “Satta Amassa Ganna” and Burning Spear proclaimed “Zion Higher.” Once Bob Marley began singing “Selassie Is the Chapel” and “Satisfy My Soul Jah Jah,” the world took note. In the entire recorded history of Jamaica, no other outside visitor has attracted as much interest as Haile Selassie – not even Queen Elizabeth II, who had visited the month before. It thus remains a watershed moment in the island’s history, especially for the Rastafari movement and its attendant reggae scene.